Lavender Lodge Bed &Breakfast is a well-appointed and comfortable B&B in Chester. It's 10 minutes from the city centre, within easy reach of everything you'll want to see in Chester. 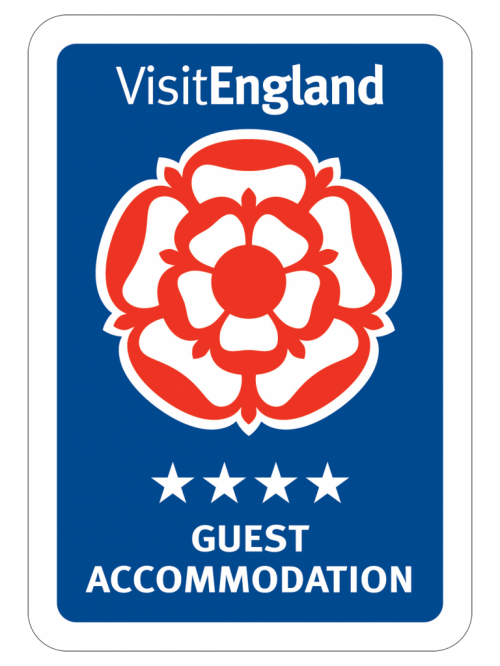 We have a 4-star Visit Britain / Enjoy England grading and a 4-star Silver AA grading. Lavender Lodge is a lovely Edwardian house, set back from the road. It's quiet and peaceful, and the rooms have nice views over gardens and the grounds of the church opposite. Our rooms are comfortable and nicely furnished. You have a choice of three double rooms, a family room and a triple room, so there's something for everyone. See Bedrooms for details. We welcome business guests, we have wireless broadband throughout, limited off-road parking, and easy access to the motorway network. We're only 35 minutes from Manchester and Liverpool airports. You can check availability or book online, we accept all major credit and debit cards. Or if you'd like to talk to us directly, simply call 01244-323204 anytime. For the comfort of all our guests we cannot accommodate pets, except of course guide dogs. Peter Manser - Excellent room, a fabulous breakfast and genuinely very warm and friendly.I would happily recommend Lavender lodge especially for anyone visiting Chester Zoo or travelling by road from the south for the ease of access Via the A55 Southerly Bypass.